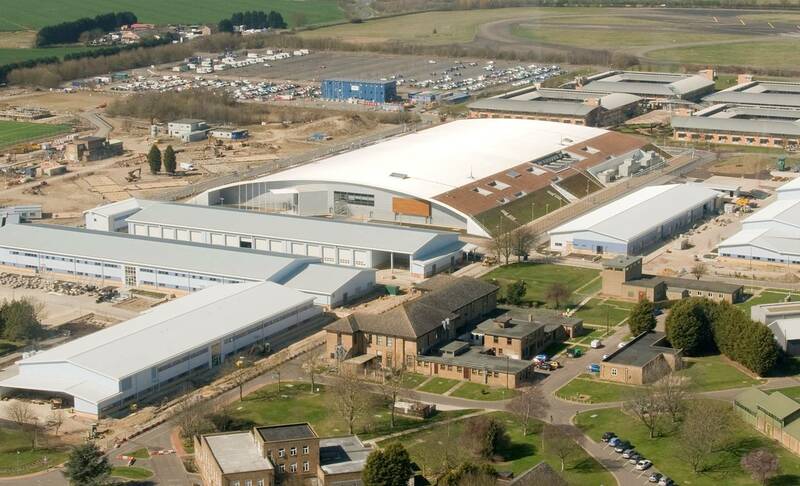 Hi, I’m Rob Dawson and I was principal project manager for the £180 million ‘Programme to Rationalise and Integrate the Defence Intelligence Estate’ (PRIDE), which consists of 10 new facilities including the Defence Intelligence Pathfinder Building at RAF Wyton. Having responsibility for the creation of this striking, hi-tech £65 million building, was a daunting challenge, but I was able to draw on years of experience in construction project management and, from March 2010, began in post replacing the retiring project manager who had seen the project through the tender process. I started my career in the petrochemical industry after graduating in Mechanical Engineering. I joined the Ministry of Defence (MOD) in 2000 and then DIO in 2001, having decided that I wanted to be involved in the delivery of capabilities to our armed forces. The Pathfinder Building, named after the WWII Pathfinder Force, houses the Defence Geospatial & Intelligence Fusion Centre. Staff come from across the MOD, NATO and Commonwealth partners. Bringing together so many intelligence organisations and units presents a real opportunity to enhance collaboration, efficiency and global security. Construction involved complex mechanical and electrical installations and due to its purpose many security obstacles had to be overcome - from having to regularly scan the site for devices, to breaking new ground on secure wall installation standards. The project also features a number of green technologies, such as harvesting rain water to use in the sanitation system and introducing a wood pellet heating system. Such a high-profile project meant many site visits, some several hundred during construction. This brought with it site access issues, potential delays and health and safety risks. The fact that Pathfinder was delivered to the MOD several months early and under budget by several millions is a testament to the hard work of the team from DIO, Defence Intelligence, Skanska and White Young Green. We embraced the goal, understood the mission and how it served the troops on the front line and did all we could to ensure delivery. 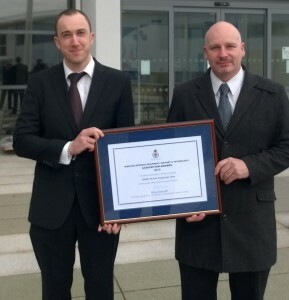 The completed project received a Minister for Defence Equipment, Support and Technology (Min DEST) Acquisition Award - which recognises good performance across procurement in the MOD. The PRIDE construction project has also won three silver Considerate Contractor Awards. After 14 years in DIO I can say that this project was the most challenging and rewarding I have been involved in. I am currently working on the Lightning II project, which will support delivery of new military aircraft, but feel that the Pathfinder Building will be a difficult project to better regarding client and contractor collaboration.